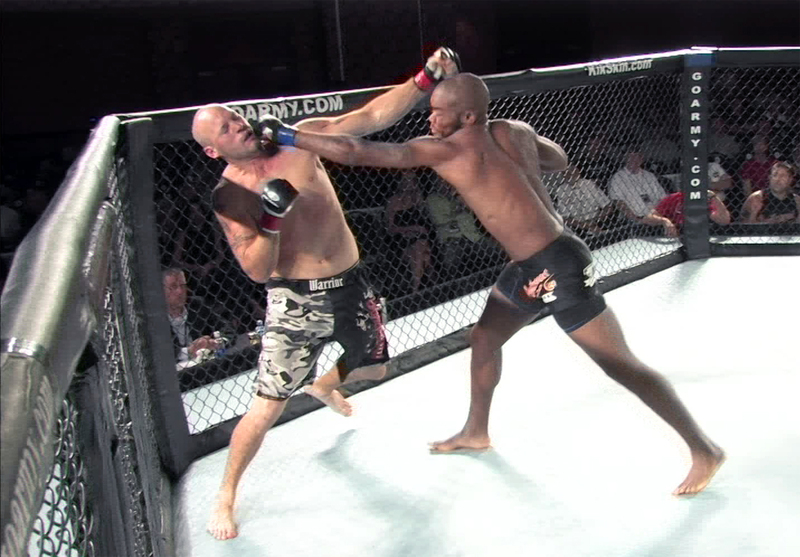 I recently attended my first mixed martial arts cage fight, and actually had a VIP ringside seat for the event. Well, it’s not really what it sounds like – “VIP” may have meant “Video In Production” in this case. 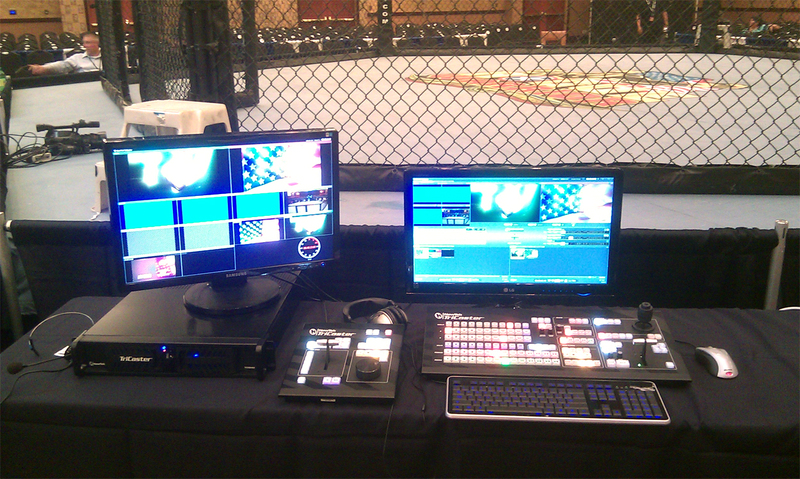 Safe Harbor Computers was contacted by an event promoter about renting a NewTek TriCaster for the Rogue Warrior Fight Championships taking place at Oneida Casino in Green Bay, WI on Sept. 6. We had a TriCaster 450 Extreme unit and Control Surface available, with TimeWarp instant replay option, and agreed to provide the gear for the event. It was later determined that an operator would also be needed to go with the TriCaster, and I was elected to take on the duties. While corresponding with the out of state camera crew and the AV department of the venue, we realized that the cabling needed to connect the two HD cameras to the TriCaster was not going to be available as previously thought – the day before the show. With one quick online visit to our friends at monoprice.com, several hundred feet of video cable were on the way to the venue. The two HD camcorders and one SD overhead robotic camera needed to connect to the video inputs of the TriCaster, which would live-switch the cameras out to four giant projection screens in the four corners of the room. Graphics for the project, including logos, fight cards, and fighter stats, were to be prepared ahead of time and provided on-site via USB thumb drive. I arrived several hours early and unloaded my gear, setting up the TriCaster 450 Extreme, Control Surface, TimeWarp controller, and two HD displays ringside. After getting all the power connected and firing up the system, it was time to start routing AV cables. On the way out of the house that morning, I’d decided at the last minute to grab my own Sony HD camera “just in case”, and as it turned out, we ended up using it for a close-up ringside camera. I was also glad to have ordered an additional 50-foot video cable just for safety. We were now set up with three live HD cameras, plus the remote camera. The sound technician provided a house audio mix into the TriCaster to record with the video program, and also took an output from the TriCaster into his board. The provided cameras had only analog component HD outputs, so we had to run some rather bulky component cables where a single HD-SDI cable would’ve been preferable. After a few hectic hours of routing and securing cables, and coordinating with the audio guy, remote camera guy, camera operators, and graphics technician, everything was in place and working as it should, ready for show time. I spent the remaining time I had arranging the graphic assets into bins and getting all my switcher and recording settings triple-checked. The Rogue Warrior Fight Championships feature professional fighters from all branches of the military, raising money for the Stars and Stripes Foundation, with proceeds from the event going to help our wounded warriors and their families. Highly-decorated Navy veteran Richard Marcinko, author of many books and founder and first Commander of SEAL Team Six, was the host of the event and was on hand to present checks to several local veterans organizations. 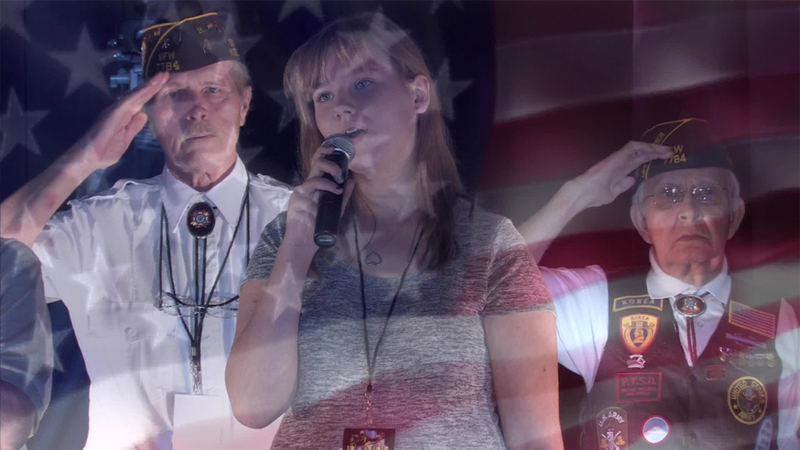 Knowing the patriotic nature of the event ahead of time, I had loaded some beautiful American flag animations into the TriCaster, along with a Flying Stars transition with accompanying sound effect. During the singing of the National Anthem, the flag animation was mixed with live coverage of the singer as well as the honor guard that was present, and it looked great on the giant screens in the darkened venue. The event then got started with fighter introductions and it was go time! Howard Petschler, Executive Producer of the event, was at my side calling the shots. Using wireless headset communications, he skillfully directed the cameramen to get the shots he needed, while also directing the switching and graphics I was providing from the TriCaster. I was also marking clips on the fly for instant replay using the Time Warp hardware. Whenever there was a big hit or knockout, we were always ready for a replay on the big screens, with smooth variable slow-motion playback. I’ve switched many events, but usually behind the scenes without audience interaction. I have to say, it was a real rush to hear the immediate audience feedback each time we cued up a big replay! I was provided with great-looking graphics, properly formatted for the TriCaster, and they really added to the production value. Between fights, we displayed a “fight card” with the names of the fighters coming up in the next round. We also had individual title overlays for each fighter, with stats, to enhance the individual introductions. During the intermission, one of the TriCaster DDRs was used for the playback of a special tribute to Joe Lewis, a fighting legend, who had recently passed away. TriCaster can play back many video formats, but if it determines that a clip being imported will take too much overhead for playback, it will transcode it to a more TriCaster-friendly codec during import, which was the case with the supplied video. The powerful processor handled this quickly before the show. At the appropriate time, the video was played back for all to see on the 4 big screens with the pristine audio pumped out to the house sound system via XLR. Using the TriCaster DDR for playback eliminated the need for an external DVD player or video deck. The rest of the night went great, with the TriCaster hardware performing flawlessly. It was midnight before I had the car loaded for the long drive home, but I was really pumped from the entire experience. I sincerely appreciated the professionalism of everyone involved that helped to make the live video production a success, since it was truly a team effort. 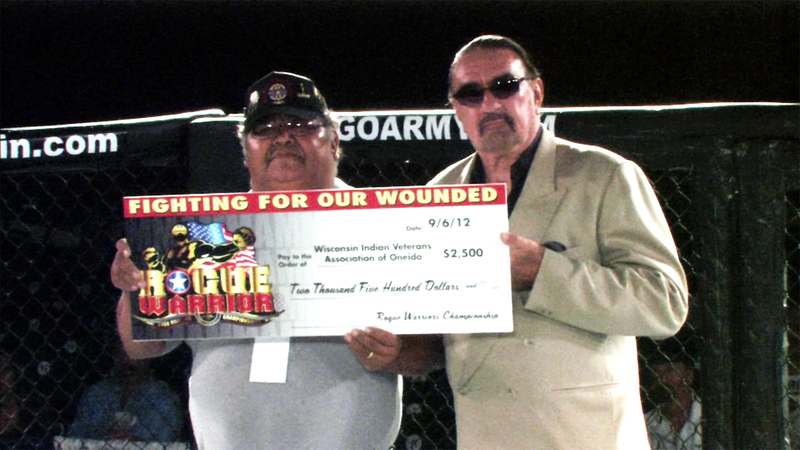 It was also a good feeling knowing that injured military veterans would be benefitting from the event as well. Rogue Fighting LLC Executive Producer Howard Petschler later said, “The event went better than expected and Jeff and the equipment performed well. We have more events coming up and look forward to using the TriCaster again.” From my own experience, plus the positive feedback received both during and since that evening, I’d say that the TriCaster scored a KO!